He has more than twenty three years of experience in industry and consulting environment and prior to Hero MotoCorp Ltd. he has worked with M/s Ranbaxy Laboratories Limited and M/s Tata Consultancy Services. He has extensive experience in IT and has traveled to more than 25 countries and led a number of global projects. Mr. Sethi is a member of various national forums including National IT and ITeS committee of CII, CII Knowledge Council and is also Co Chairman of the IT committee of SIAM. He is also the Board member and North India Region Head of SAP India User Group (INDUS ) and is a member of advisory councils of some of the leading organizations. Widely respected as a leading IT thought leader in the country, Mr. Sethi is a regular speaker at various forums across the globe. Mr. Sethi has won several prestigious awards and recognitions including Global CIO, CIO of the year, CIO Hall of Fame, Champion CIO, India’s Best CIO, CIO Grandmaster, BI Mastermind, Cloud Pioneer and India’s Best IT Manager. 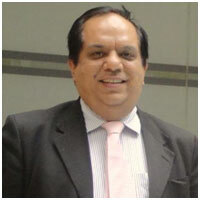 He has also been the jury member for some of the leading IT and telecom awards in India. Mr. Sethi has a Masters Degree in Industrial Engineering, an MBA in Materials Management and a Bachelors Degree in Mechanical Engineering. Apart from this he has attended leadership programs organized by leading global institutes including Harvard Business School, Indian School of Business and also has a number of certifications in various areas of management and IT.